We bought our tickets last March 2014 for only Php 3100 (Manila-Saigon, then Siem Reap-Manila). It was a very cheap deal. The thing that annoys me (well, most Filipinos) when traveling abroad is the requirement to shell out at least Php 2170 pesos - Php 1620 goes to the exorbitant travel tax, and Php 550 for the international terminal fee. Some airlines however, incorporate these fees in their airfare. This is actually more convenient especially when you're in a hurry. The only thing that you'll have to worry about is the long queue at the immigration counter. We were scheduled to depart at 10.30PM but due to a strong typhoon that hit the northern region of the country, all flights were delayed. Eventually, we left Manila at almost three in the morning and arrived in Saigon at half past four in the morning (local time; Saigon being an hour behind from Manila). Tired and hungry, we walked towards the taxi bay of Tan Son Nhat International Airport. Apparently, we didn't take a legit cab (Mai Linh or Vinasun) which was a huge mistake. A middle-aged scrawny man approached us and claimed that he can take us to Long Hostel near Ben Thanh Market. The next thing we knew, we were charged VND 900,000 or Php 600 each. As the cliche goes, charged to experience. Welcome to Saigon! 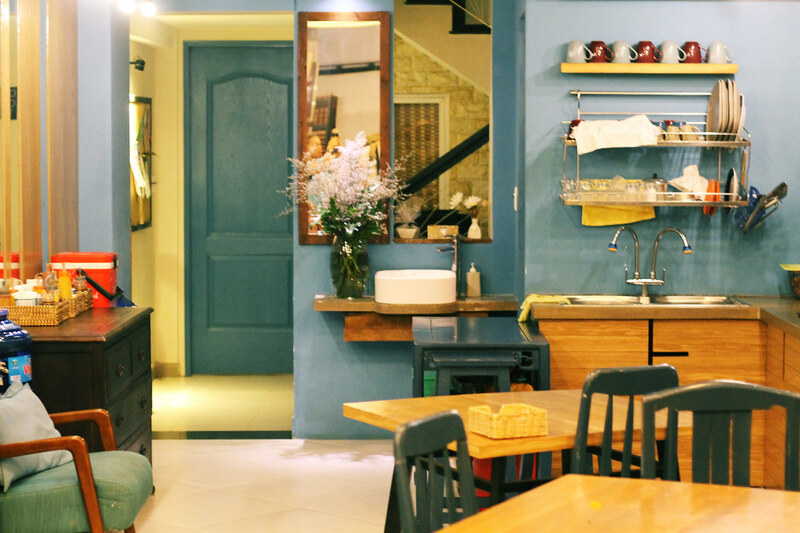 We paid for our hotel reservation (Php 300 each), freshened up a bit and ate breakfast at Long Hostel. The good thing about staying in Saigon is that majority of the hotels and inns have connections to various bus and tour companies. We bought our round trip bus tickets to Mui Ne (Php 1000) at our hostel and all we have to do was to wait for 8:30AM. Talking about convenience! 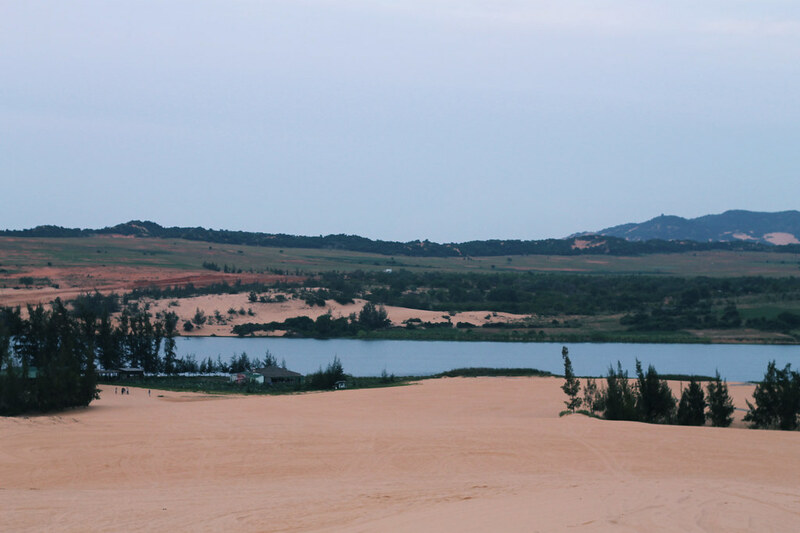 It took us almost five hours before we reached the resort town of Mui Ne. Upon arrival, we availed the Mui Ne tour for Php 300 ($7.50) each. 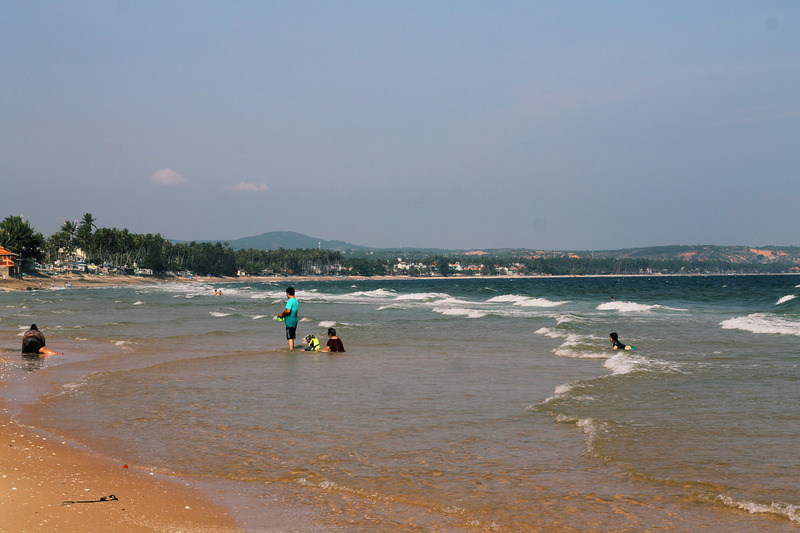 Included in the tour's itinerary were the following: Fairy Stream, sand dunes, and the fishing village. We stayed at Zenora Beach House for only Php 500 each (we had the whole villa for Php 2000 a night). It comes with two rooms and two private bathrooms. It offers a breathtaking view of the beach! And the best thing about Zenora Beach House? Their swimming pool. 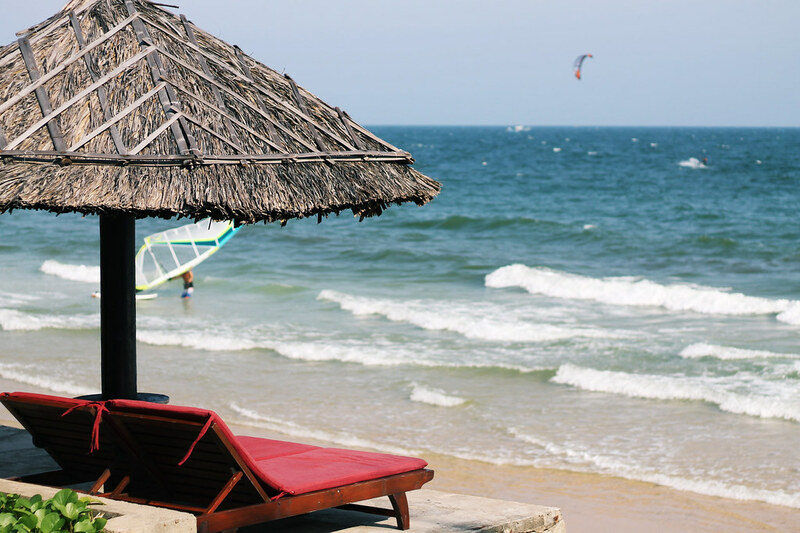 September is an off-peak season in Mui Ne. The town tends to be jam-packed from November to January, and from March to May. For the whole night, we spend time (and Vietnamese Dongs) walking around the town buying some souvenirs (Php 400), and trying some of their best tasting pho noodles and street foods (Php 300). We woke up at around 4:30AM and the tour started at around 5AM. 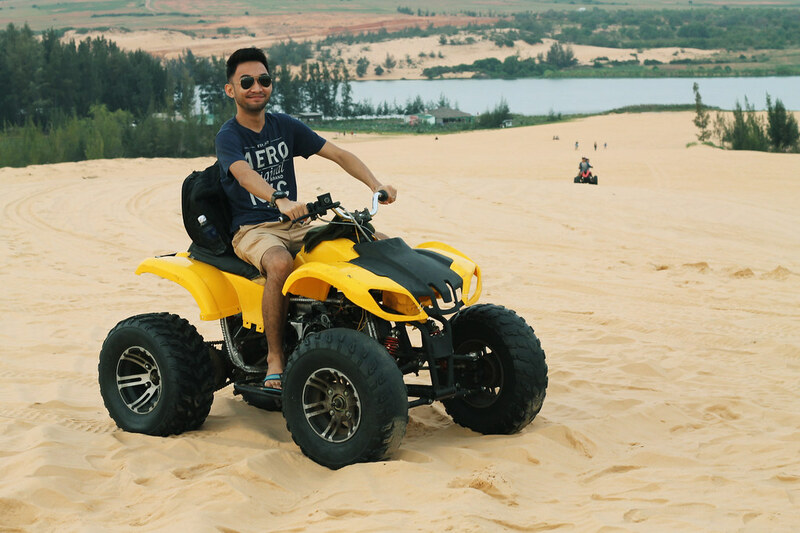 First stop - the sand dunes of Mui Ne. The picturesque view of the vast landscape of sand dunes reminded me of Star Wars. We rode an ATV for Php 600. Worth every screams and Vietnamese Dongs, I tell ya! After two hours, we went straight to the fishing village, a good 45-minute ride from the sand dunes. Nothing's fancy here, but one can witness the primary source of income of the locals - fishing. Located just north of the fishing village is the Fairy Stream. Entrance fee is only Php 10 and you can hire a guide (our guide charged us way too high but we didn't have a choice, we paid Php 200 each, a total of Php 800, thus make sure to settle the tip with your guide first before entering the stream). At first, I thought the water was murky brown, only to find out that the sand's golden brown and the water of the stream's actually crystal clear! Along the way, you can see various sandy formations that are constantly sculpted by wind and rain. The tour ended at around 10:20AM and after eating our free breakfast, we waited for our 1:30PM sleeper bus back to Saigon. For some reasons, the bus took the longer route. To make the long story short, we arrived in Saigon at around half past 7 in the evening. We then walked to our hotel, Town House 50, which is only three blocks away from Ben Thanh Market. We booked two deluxe rooms, each comes with a private bath, two huge beds, 32" LED cable TV, and a free wi-fi connection. We only paid Php 800 each for our overnight stay in Saigon. Since we haven't had a decent meal since we left Mui Ne, we ate near the vicinity of Ben Thanh (Php 200 each), and did some souvenir shopping at the night market (Php 400). The locals were so nice that they gave us big discounts since we were Filipinos and we know who Marian Rivera is. Ain't joking here! Back at the hotel, we booked for our one way bus ticket to Siem Reap for Php 1300. We were lucky enough to have seats for the 6AM bus trip to Siem Reap since it was a public holiday in Cambodia the following day! Time to cross the Vietnam-Cambodia border. We left Saigon on time and had a brief stop at the first municipality of Cambodia, just 10 minutes after passing the border. Three hours after, we changed bus at Phnom Penh, the capital of Cambodia. From the capital, it would take us another 8 hours before reaching our final destination, Siem Reap! Two hours after we left Phnom Penh, our bus broke down and we were stranded right in the middle of the Cambodian nowhere. I bet Google Maps will even have a hard time to locate us! Almost two hours later, a rescue bus came and we continued our journey. Along the way, we had a brief stop to eat and pee. We filled our empty tummies with arroz caldo (Khmer style) and other treats (Php 200). We safely arrived in Siem Reap at almost midnight. Exhausted, we hired a tuktuk. Fortunately, our tuktuk driver was really friendly and he offered us an Angkor Wat tour for only $10 (Php 250 each). 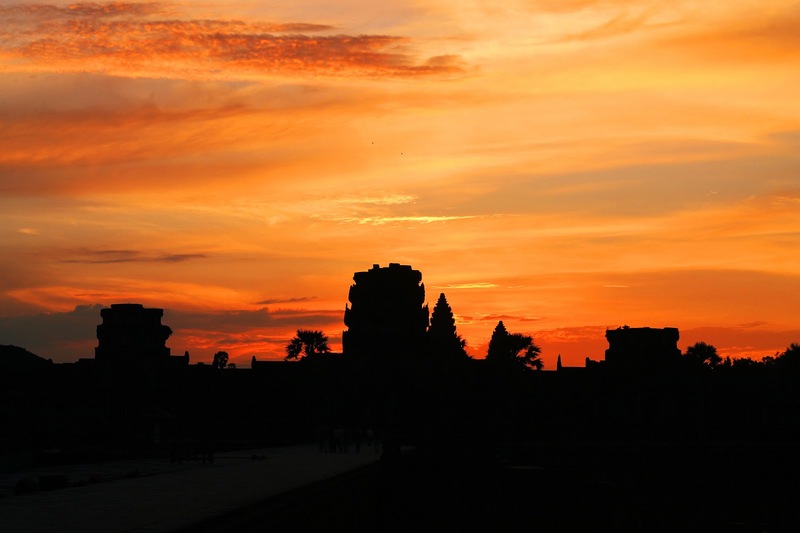 He'd fetch us at 5AM for us to catch the famous Angkor Wat sunrise. By the way, his name's Tiger. We finally settled our things at Okay 1 Villa (Php 400 each) and finally called it a day. We woke up a bit late. We took a quick shower and the next thing we knew, dawn was breaking. Time check: 5.20AM. We saw Tiger sleeping on his makeshift hammock. We woke him up and we were good to go. We bought the whole day access ticket to Angkor Wat for $20 (Php 850). 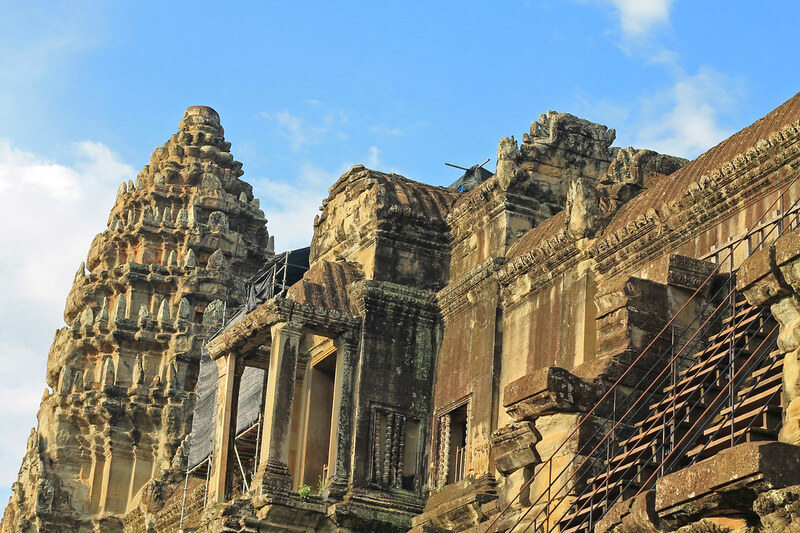 If you're serious in exploring the WHOLE complex, buy the 1-week pass because mind you, the whole Angkor Wat complex is as large as Vatican City (or even bigger than The Holy See). Yep, it's so big that there are several temple ruins scattered around. History tells us that this complex was once a vibrant ancient metropolis with over a million inhabitants. No wonder that there are complex canals and waterways along the way. Talking about ancient ingenuity! 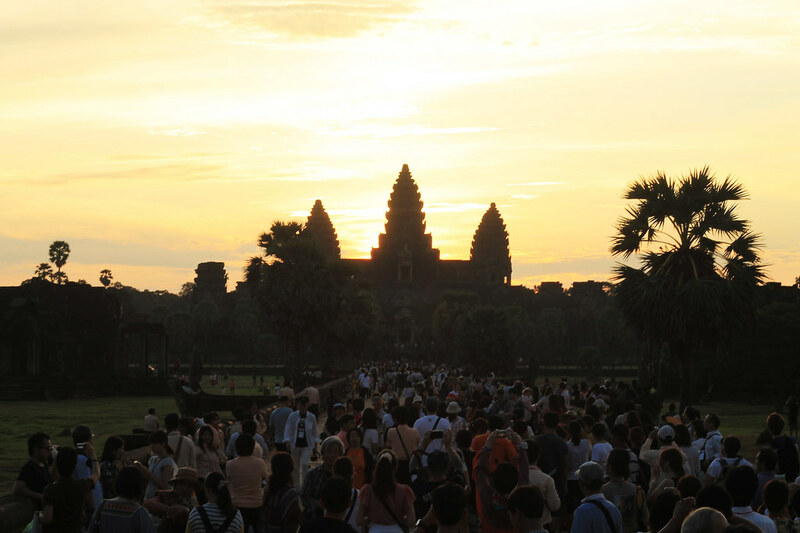 Our plan was to catch the famous sunrise shot of Angkor Wat and to visit some famous temples nearby. We fully relied to Tiger's knowledge. I am glad that we had an honest and hardworking tuktuk driver. Not to mention he knows how to speak basic English. After visiting some famous temples (including the Tomb Raider Temple), witnessing a Buddhist ritual, and buying some souvenirs from the kids (Php 200), we went back to our hotel and had some rest. Since we still had time, we freshened up, hired a tuktuk (Php 20 each) and went to Pub Street to try some Khmer food (Php 400). Since our body and feet got sore from our half day trip (the scorching heat of the sun really drained our energy up to the last drop), we had a two-hour massage at our hotel. BEST. TWO. HOURS. OF. SLEEP. EVER. (Php 600). Our flight was scheduled to depart Siem Reap at 10.30PM thus at around 7:30PM, we left our hotel and hired a tuktuk for Php 100 each. We then ate our last Cambodian meal at the airport's predeparture area for Php 300. Our flight back to Manila wasn't delayed. We bid farewell to our Indochina adventure at exactly 10.43PM local time. I guess spending at least Php 15,000 was really worth it! Please be reminded prices are subject to change. Exchange rate during that time was USD1 = PHP45. 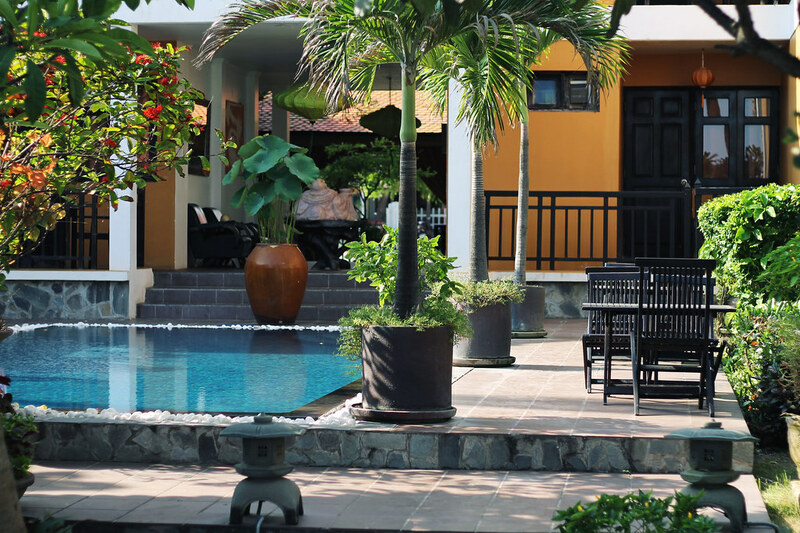 It is also possible to lower the total expenses for this particular Indochina itinerary. Just learn how to be resourceful, and creative. 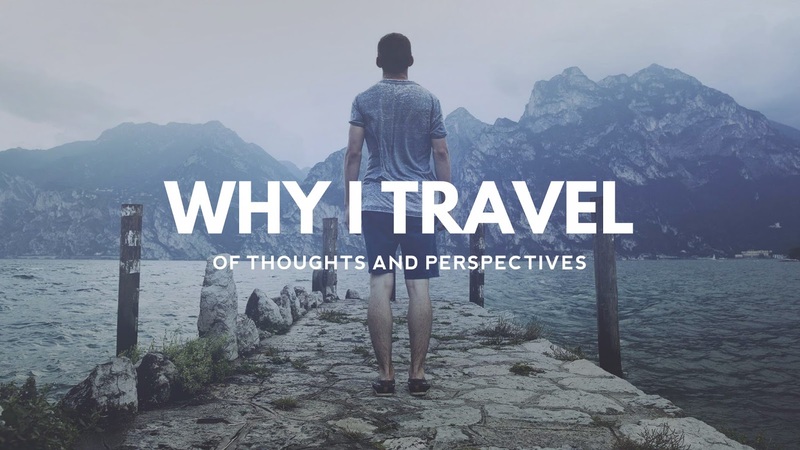 Here's the summary of your Indochina adventure! sobrang crowded pala sa Angkor Wat.. is it always like that? I've been to Cambodia several times and once in Saigon. The thing that got me excited here was the ATV ride in the sand. It feels like a star wars scene really. 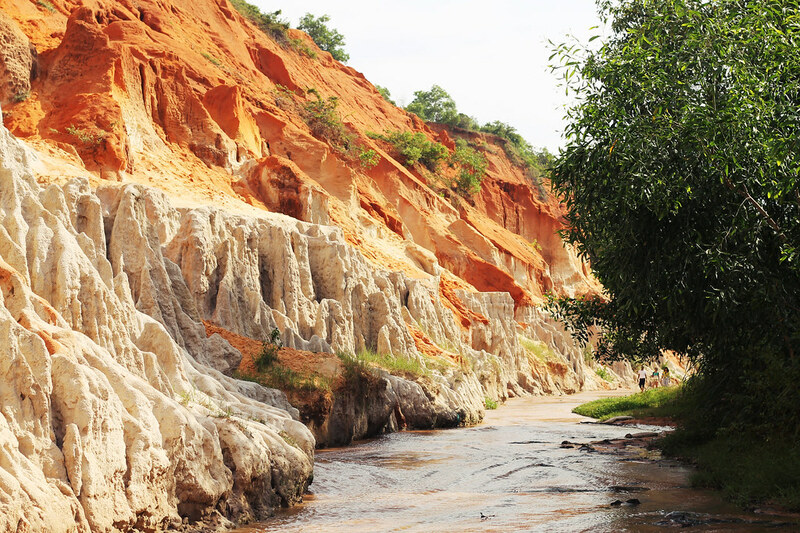 True, Mui Ne is paradise!